Way back home is a family drama movie showed last August 17, 2011 in theatres and cinemas nationwide. Starring Kathryn Bernardo, Julia Montez, Enrique Gil, and Sam Concepcion. 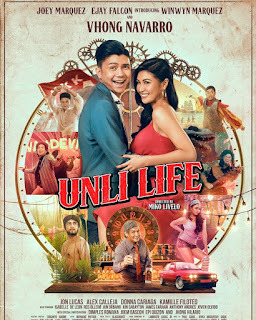 The movie is directed by Jerry Lopez Sineneng and is graded by the Cinema Evaluation Board by B. Despite the sudden death of AJ Perez who is supposedly part of the casting, he was immediately replaced by Sam Concepcion. And while facing too much controversy, Albie Casino was been replaced by Enrique Gil. when the two accidentally separated. Joanna wanders off, and her family is unable to locate her. Twelve years later, their mother has been unable to move on, while Jessica has come to resent the distance that’s grown between them. Joanna meanwhile has been living a simple life in Zambales not knowing her true identity. That is, until, she runs into her family at a swim meet. Joanna is brought home to a family she’s never known, and Jessica struggles with the attention being showered on her new found sister. The typical Filipino family brings out the best dramatic scenes and empathetic dialogues primarily because relationships within the family are most relatable. Conflicts and dysfunction between parent and child among siblings would always find an audience connecting to a particular character over another. Kathryn and Julia make their big screen debut after graduating from their remake of the classic Mara Clara soap. If one has witnessed the performance of the two newbies in ABS-CBN’s teleserye, it would be applicable to say that the two developed a knack of drama. Their acting has undeniably matured in this debut film, although it would be best if they deviate from playing rival characters in their upcoming projects.